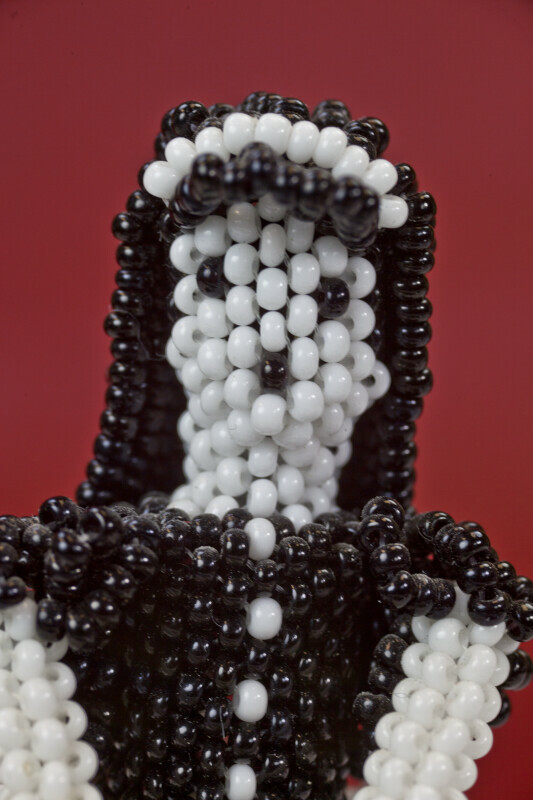 Mexican lady made entirely with small black and white beads, which are threaded on wire. Her hair consists of black beads, and her face is white beads (with black beads for the nose and eyes). She is holding a small bouquet made from beads. Her bell-shaped shirt is made with alternating rows of black and white beads in a crisscross pattern. She has beaded legs. The figure is 5 inches (13 cm) tall.